Black and white image of a young girl, identified in museum records as Eileen Carothers, and a woman wearing a hat. 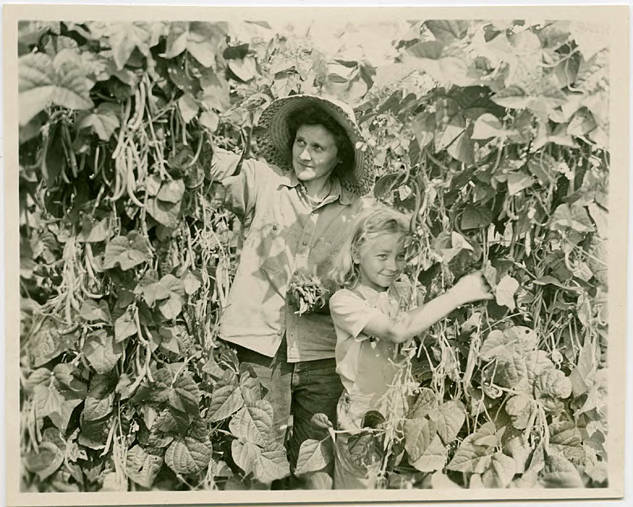 They stand in between two rows of pole beans, and the woman holds a handful of beans while Eileen is picking some. Museum records identify this image as from the Carothers & Son farm, near Cornelius.